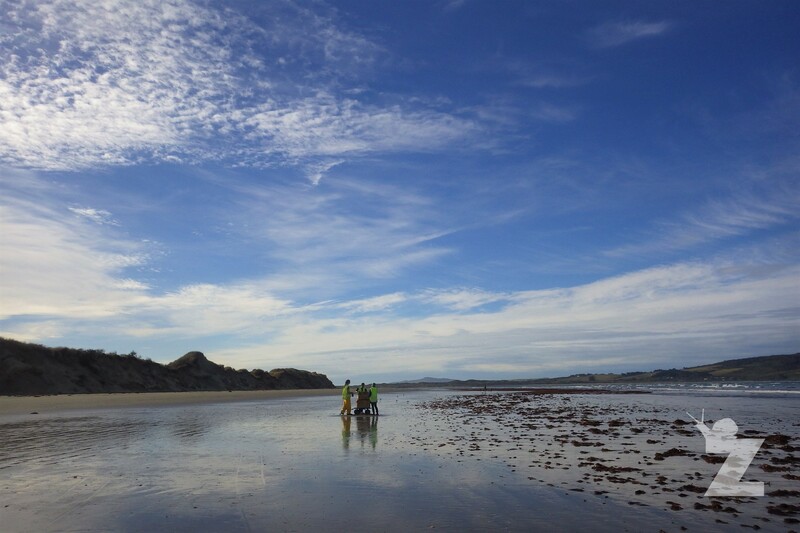 In January this year, Tom and I ventured down to the bottom of New Zealand for an ecology contract surveying Toheroa. 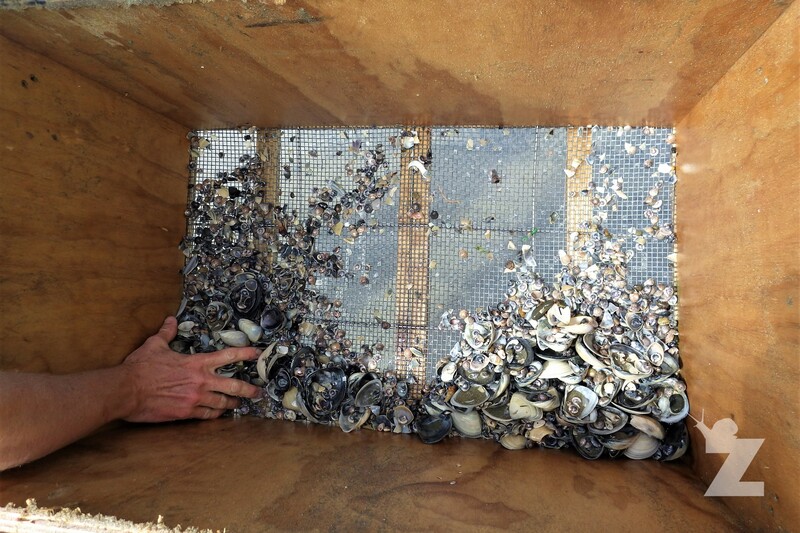 We were there to count and measure these shellfish on Oreti Beach, near Invercargill, in a effort to estimate the population and age distribution. They were an interesting species to work with considering their place in Kiwi culture, and the fact that their populations have been in decline. 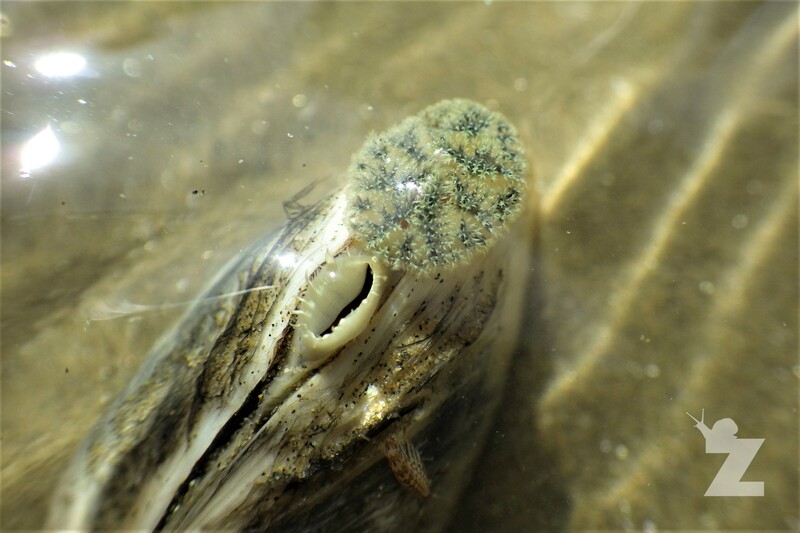 Toheroa (Paphies ventricosa) is a large bivalve mollusc which is endemic to New Zealand. The name in Māori means “long tongue” and, as you can see from the following photo, is a fitting description. Toheroa eat and breathe through two siphons (which you can see in the photo below). These siphons extend upwards through the sand to the surface. When you are walking along the beach after the water has just receded, if you look carefully, you can see the holes where these siphons were. In the photo, the right siphon is the inhalent siphon through which a stream of water and food particles is sucked down and passed across the gills. Here, oxygen is absorbed and food particles are collected. The waste-water then leaves through the exhalent siphon, as seen on the left. Due to the Toheroa’s popular demand at this time, both locally and overseas, they were harvested and canned in very high numbers. Since this exploitation, Toheroa populations all over the country have declined. The research suggests that no one factor alone is responsible for the decline in the Toheroa population. Climate, changes in land and sea conditions, predation, exploitation and interference by humans most likely all play a part. Research also shows that juveniles are affected by driving on the beach, and Oreti Beach is a very popular driving spot. Owing to these substantial declines, Toheroa are currently only allowed to be harvested in limited customary fisheries. For all these reasons, there is great public interest in the local Toheroa populations and how they are doing. There was coverage in the local paper about the surveys, one article of which can be seen below. For a first-hand account, however, read the following article written by Dragonfly Data Science, the company that ran the surveys for MPI. For our surveys, following the same protocol as previous years, we ran transects from the base of the dunes down to the low-tide mark. Along these transects we dug out samples. A certain number of these transects were designated for us to sieve. We counted and measured all the Toheroa we found. The sieved samples were specifically to make sure that we were able to find the small juveniles. The population and age distribution of Toheroa at Oreti Beach will be estimated by using these findings. It will be very interesting to see the results of this year’s survey, especially in relation to previous years. 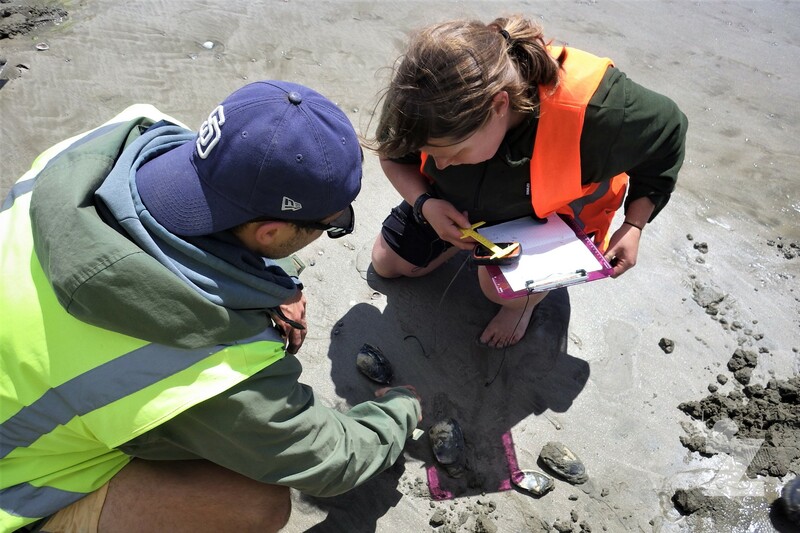 If you would like to see the results of the last survey at Oreti Beach in 2013-14, you can access the report here: Berkenbusch, K., Abraham, E., & Neubauer, P. (2015). Distribution and abundance of toheroa in Southland, 2013–14. New Zealand Fisheries Assessment Report, 2015/17. 45 p.
This continued monitoring of Toheroa populations helps to keep an eye on the trends. It will inform us on how best to manage the populations and if any interventions are having an effect, hopefully aiding in the preservation of Toheroa for generations to come. Edward Samuel. 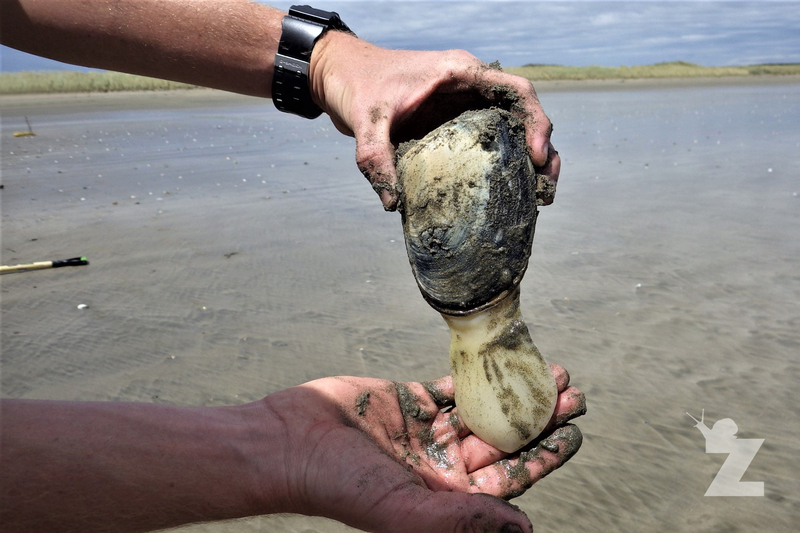 “The Toheroa — New Zealand’s Exclusive Shell-fish”. The New Zealand Railways Magazine, Volume 11, Issue 4 (July 1, 1936). They dig in the beach. With their hands and feet, But….they’ll never, never, never, Never, never, never, Never be able to reach him as he… …twists and turns, Like a spinning top, As he goes deeper, deeper, deeper, Deeper, deeper, deeper, Till it looks like he’s never going to stop. All the mums and dads, And the children too, Come and they dig-a, dig-a, dig-a Dig-a, dig-a, dig-a, Dig with ev’rything they have. And there’s a truck, From the fisherman’s shop, But….he’s leaving, yes he’s leaving, Sick and tired of digging, He’s never dug a toheroa out.